Asia Song Festival 2018 attracts the media with many Korean and Asian groups. Red Velvet also attended this festival. On the 3rd of October, the second day of 2018 Asia Song Festival is held. Many idol groups had attended like Wanna One, fromis_9, Red Velvet,… The idols came to Busan to entertain their fans with a series of hit songs. Red Velvet had also been there to give fans many surprises. Firstly, SeulGi had surprised fans with her new blonde hair, but when the group was performing on stage, suddenly SeulGi’s hair stood up like she had an electric shock. The group and fans did not know what was happening with SeulGi’s hair. With this incident, Seulgi looks more lovely to fans and they love her new hair color. 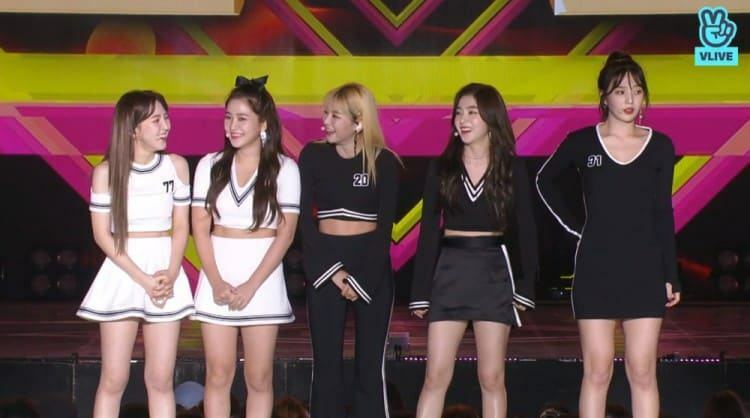 With the success of the new hit not long ago, the presence of Red Velvet at the Asia Song Festival had made fans excited with their songs at the festival.